Filed to: 20 trillion you say?Filed to: 20 trillion you say? A cryptocurrency exchange in Japan reportedly experienced a temporary glitch last week that suddenly offered investors their pick of coins for the low, low price of zero dollars. Several customers took advantage of the opportunity, but one really ran with it. 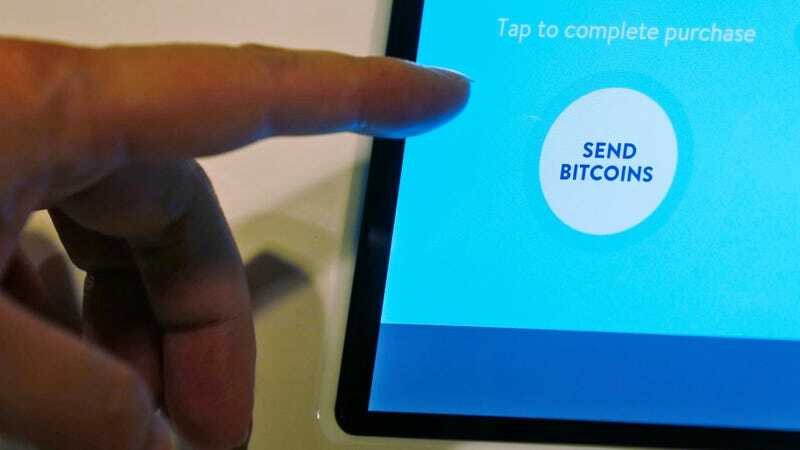 The exchange voided the trades after discovering the error, which happened on Feb. 16 - though it was still trying to resolve the issue with one customer who tried to transfer the knock-down bitcoins from the exchange, a spokesman told Reuters. That doesn’t sound so bad, and could’ve been much worse. Everything mostly worked out, but there’s still one customer that’s putting up a fight over their heavily-discounted purchase. How much did they try to pull out? According to Japanese outlet Asahi Shimbun, one customer apparently “purchased” 2,200 trillion yen worth of bitcoin and proceeded to try to cash it out. That’s about $20 trillion. Considering the fact that Bitcoin has a market cap of just over $183 billion, that sell order really must have confused some traders for a bit. Reuters points out that the glitch couldn’t have come at a worse time for the Japanese cryptocurrency exchange business. Following the recent $400 million heist at the Japanese exchange Coincheck, two separate industry groups have agreed to form a self-regulating body that would strive to protect investors with stronger safeguards. It would also, presumably, demonstrate to authorities that they don’t need to get involved. The Japanese yen is by far the most exchanged national currency in the Bitcoin world, so attracting regulations would have a global impact. We’ve reached out to Zaif representatives to ask if the $20 trillion order has been resolved and to get further details on what caused the glitch. We didn’t immediately receive a response, but we’ll update this post when we do. The last bit of news on Zaif’s website was posted on the day of the glitch, it’s a delightful TV commercial that you really should watch for yourself.